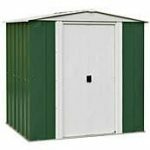 This wonderfully spacious 8 x 4 metal shed has a nice feel to it and is constructed from sturdy high quality steel that has been galvanised. 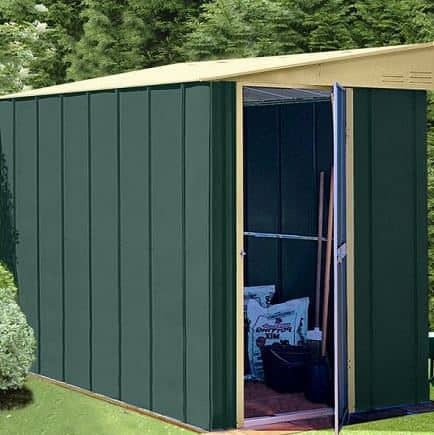 One of the key features is the pent roof, which allows for a quick run off of rainwater. 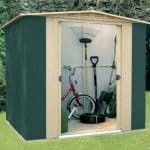 You can place the door on either side of the shed. This allows for extra versatility. 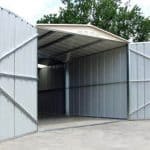 The building has minimal maintenance required. 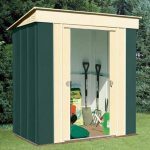 On top of this you also have a shed that has no cracking or rust with it, and the shed is also resistant to rot and rodents. 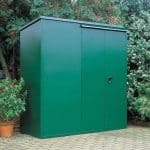 A 20 year anti rust guarantee completes the value. 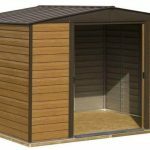 Hi Kieran, I think you might find a pressure treated wooden shed would work best if you are looking to customize things.